Tattersalls Ireland Goresbridge Breeze Up Sale catalogue of 211 selected two-year-olds, is now online with the printed version available next week. 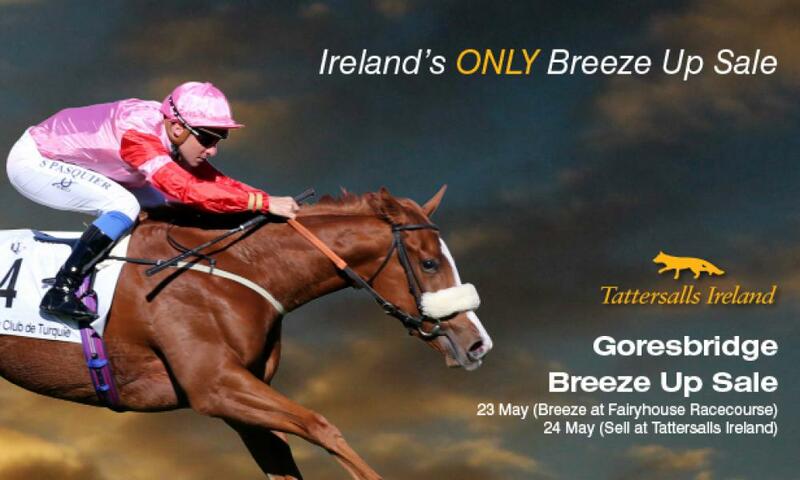 This year's Breeze Up Sale represents the collaboration between Tattersalls Ireland and Goresbridge, further strengthening the success of Ireland's only Breeze Up Sale. Overseas clients will have the convenience of Tattersalls Ireland's close proximity to Dublin Airport and can avail of travel assistance from Irish Thoroughbred Marketing together with the team at Tattersalls Ireland. EAST purchased at the 2018 Goresbridge Breeze Up Sale for €315,000. 2nd in Gr.1 Breeders' Cup Juvenile Fillies Turf at Churchill Downs and winner of Gr.3 Prix Thomas Byron Jockey Club de Turquie at Saint-Cloud. DAN CONTROL purchased at the 2018 Goresbridge Breeze Up Sale for €220,000. Winner of the Designs On Rome Handicap 2019 at Sha Tin. SUNNY SPEED purchased at the 2017 Goresbridge Breeze Up Sale for €70,000. 3rd in the BMW Hong Kong Derby 2019 at Sha Tin. ANGELIC LIGHT purchased at the 2018 Goesbridge Breeze Up Sale for €56,000. Winner of the Lr. "Bosra Sham" Fillies' Stakes at Newmarket.